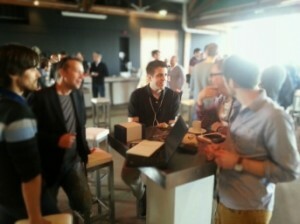 Tridion Developer Summit 2014 – A great time all round! The guys from Content Bloom recently attended the first ever Tridion Developers Summit 2014 so I wanted to shout my enthusiasm from the rooftops in the hopes of attracting even more people next year! The ‘Tridion Developers Summit’ was a two day event held on 15-16 May 2014 in Amsterdam. 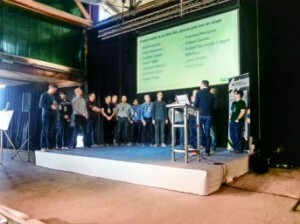 Located on a big barge in Amsterdam filled with loads of keen Tridion developers, It felt a bit like the G8 summit… a little too risky to have so many top developers all together in the same room, especially a floating one! The day was super fun and filled with countless educational seminars discussing many aspects of the SDL Tridion product whilst sharing some great success stories from the guys on the front line. Personally, the highlight for me was meeting a bunch of great developers and putting names-to-faces whilst enjoying discussions on both a professional and personal level. The atmosphere was super welcoming, perhaps fighting Tridion API’s, and surviving, makes for friendly developers. I found the pace perfect with enough time set aside for socialising over lunch, the post event BBQ and evening -> late night -> early morning drinks in Amsterdam centre. So why should you go next year!? Many thanks to Robert Curlette, SDL and friends for organising the event, it’s clear a lot of work went into it. Take a look at the official site www.tridiondevelopersummit.com, hoping to see you there next year! This entry was posted in Community, Helpful Tridion tips, Tridion news by Jonathan Primmer. Bookmark the permalink.